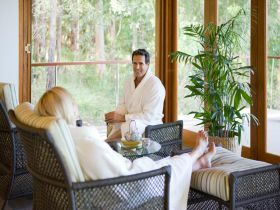 Located in the Gold Coast Hinterland, Peppers Ruffles Retreat & Spa offers luxury villa style accommodation, revitalizing spa facilities and a private location perfect for couples seeking a romantic getaway. 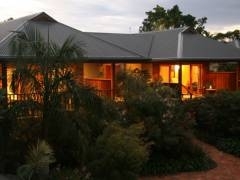 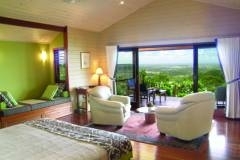 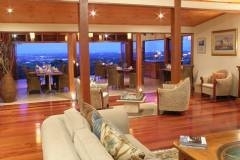 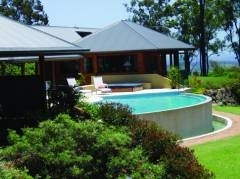 Lodges Accommodation - Near Hotham Creek - Facilities include golf course, adult retreat, non smoking rooms. 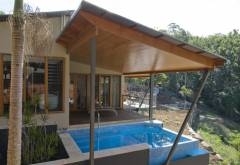 Peppers Ruffles Retreat amp; Spa is Queensland's premier Gold Coast luxury accommodation, located in the beautiful Gold Coast Hinterland midway between the coast and the mountains. 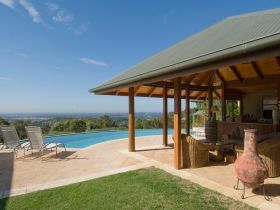 Peppers Ruffles Retreat amp; Spa is a Luxury 5 star Retreat that offers fine dining and a cellar with a large collection of Australian boutique wines. 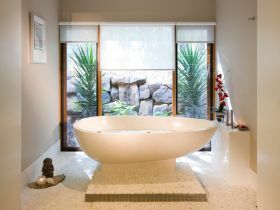 At Ruffles the day spa, luxury accommodation and immersion in the wonders of nature combine to make it the perfect venue for all kinds of getaways and occasions, from romantic weekends to executive retreats and weddings. 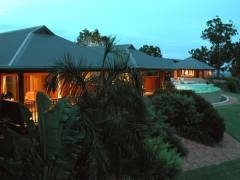 Spectacular coastal views, a tranquil environment and luxurious villas, are just some of the attractions of the exclusive Peppers Ruffles Lodge and Spa. 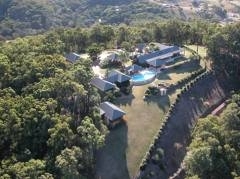 Perched high on a ridge in the Gold Coast hinterland, you feel a million miles away, yet it is only eight minutes from the motorway and five kilometres from Dreamworld.